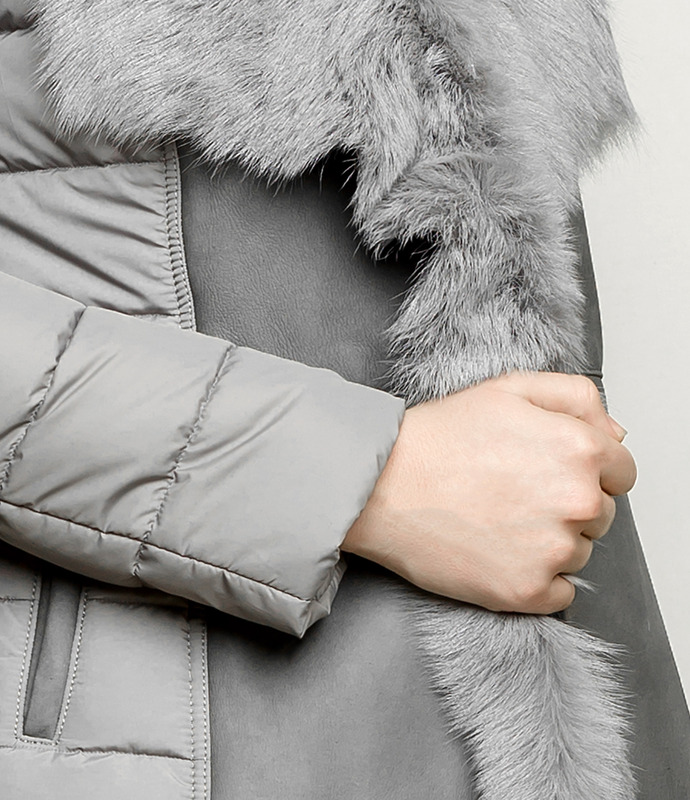 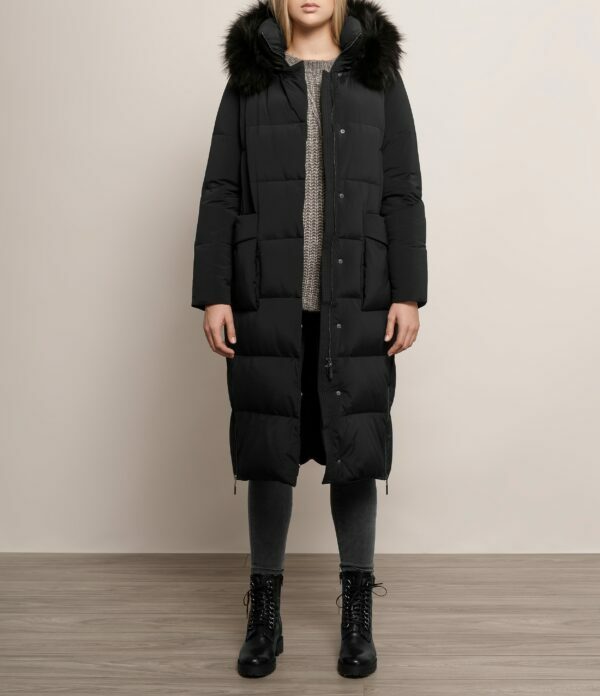 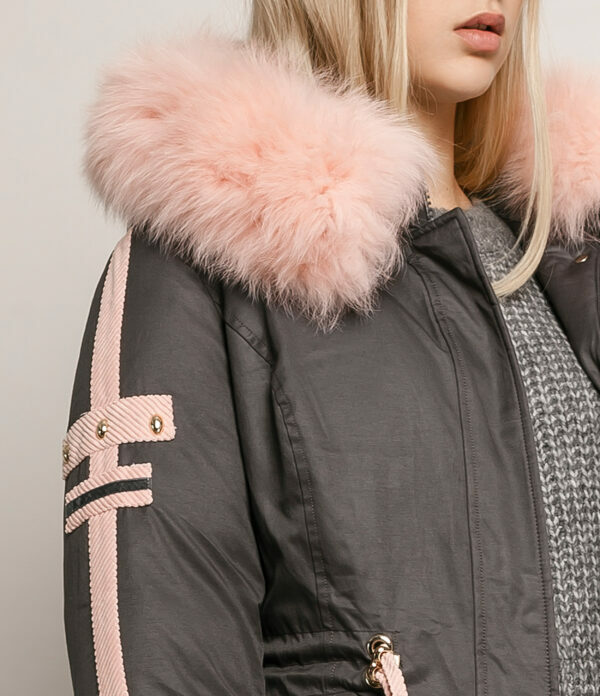 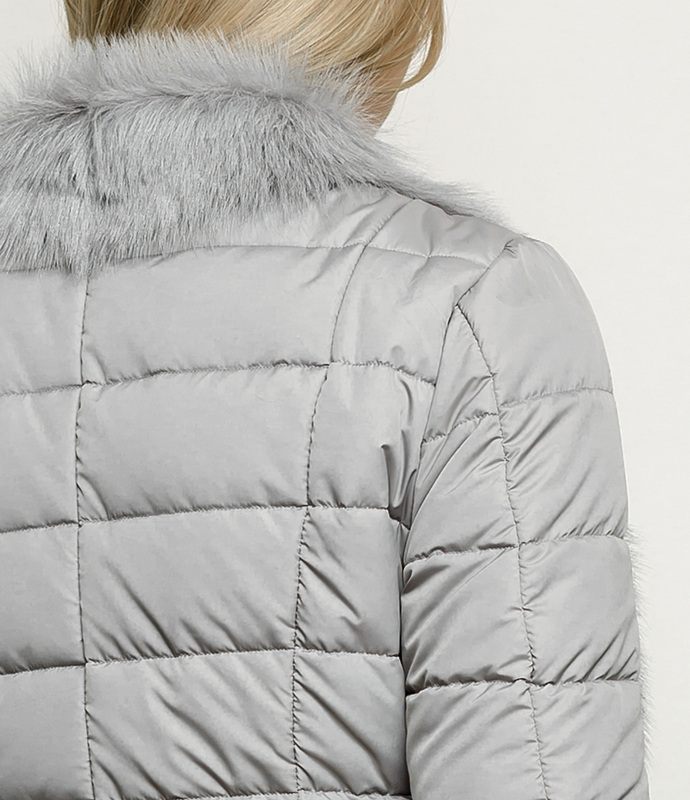 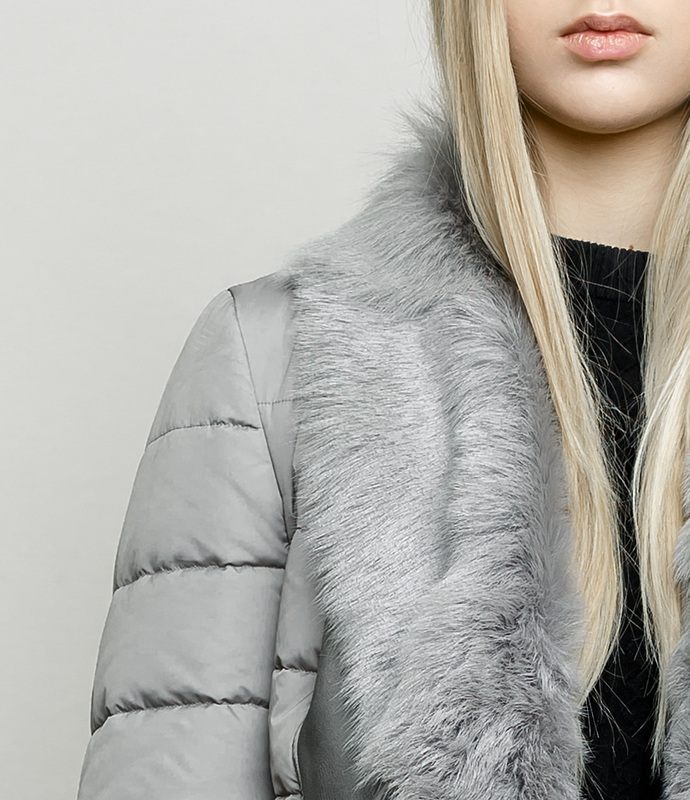 Short figure huffing puffer jacket with natural shearling. 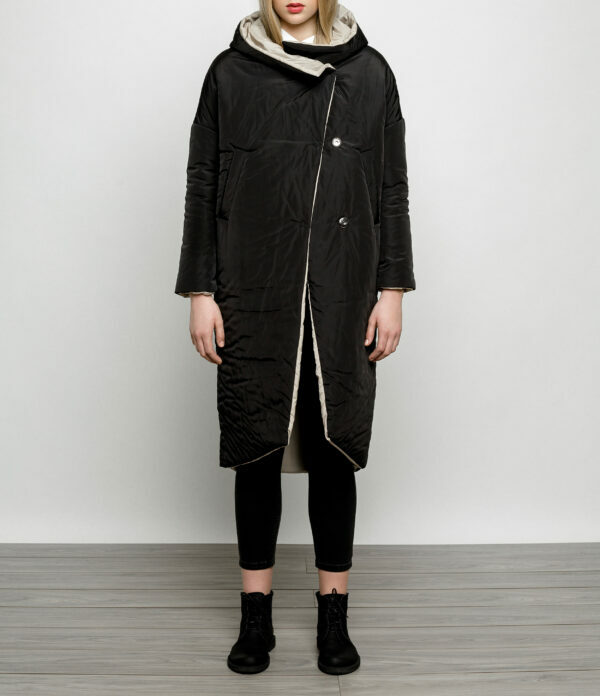 Jacket with a lapel collar, long sleeves and slim leather belt fastening in the front. 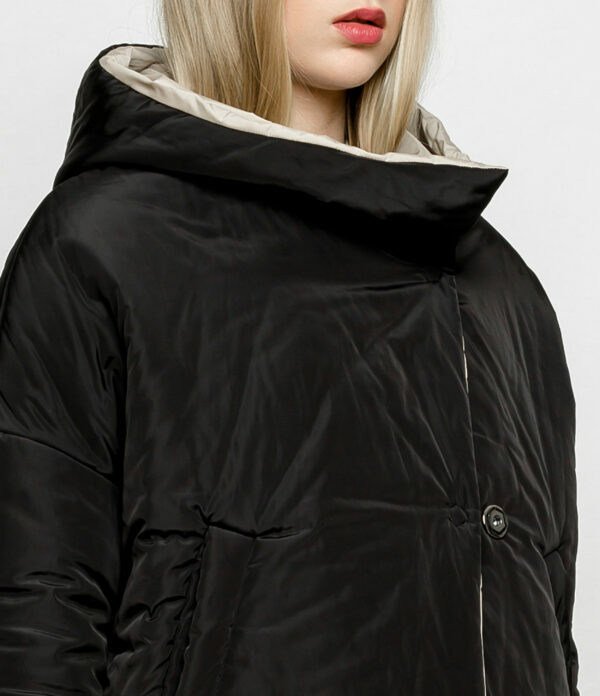 Features side in-seam pockets.